It has become an age-old debate: direct mail versus email marketing and advertising. Defenders of digital media will say why drain your marketing funds on direct mail initiatives that nobody reads when you can contact your buyers using the channels they prefer– tv, social media, and smartphone? That being said, the most recent data makes a solid case for printed direct mail. Sure, social media and smartphone marketing are on the rise. But that doesn’t mean that clients aren’t responding to direct mail or that this channel is losing its efficiency. That’s just plain misleading. 2. Direct mail never stays in a junk mail filter. ” Yes, your message may be chosen by someone else,” notes Roger Buck, former director of marketing and product development at The Flesh Company. “But the chances are small – and direct mail never has a virus.”. 3. 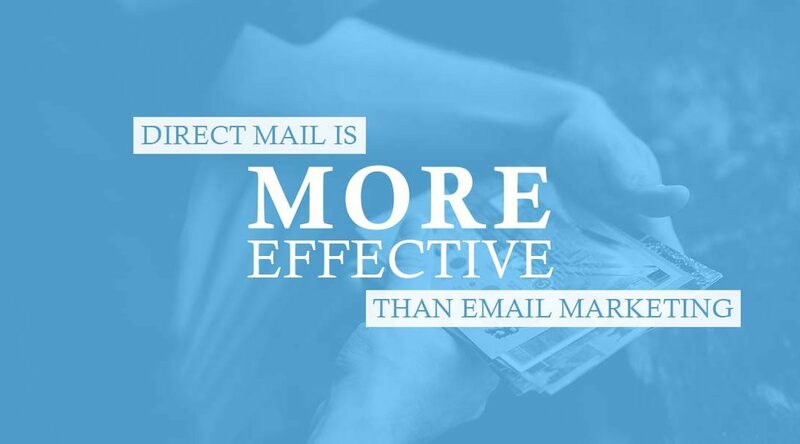 Direct mail stays effective longer than you think. 4. It’s still successful when the intended receiver has moved on. 5. With direct mail you do not have to fight to get attention. 6. A number of promotions just won’t get footing by email. There’s a good reason businesses are more likely to get lending offers in the mail than they are by email. B2B decision-makers trust direct mail more than email, particularly for high value products and services. Mailers can also incorporate a wide variety of trust-building material not possible (or reasonable) to include in email. Yes, you can supply links. But with direct mail, you get that content in front of them in a solid way right out of the gate. 7. Direct mail can connect with high-level decision-makers. Certainly there are only so many things you can do to make email look more important. But beyond writing an engaging subject line, most of them look hokey. Direct mail offers alternatives like kits, dimensional mail, and unique packaging options that, by their nature, get past the gatekeepers. (Palko has used everything from metallic envelopes, lunch bags, packing list pouches and prescription bottles to mail letters. “They are not only fun, but they get opened!” he says.) While these mailings may have higher price tags, they can also get near 100% open rates. When you’re trying to reach the C-Suite, that’s worth a lot. 8. Direct mail drives social media and online marketing. Many people feel you don’t need direct mail when you have social media and mobile marketing. What they’re ignoring is how social media and smartphone marketing connections get captured in the first place. Very often, it’s through printing. Saying that you only need social and mobile is akin to saying that when you buy a house you only need the upper stories and not the foundation. Without print, getting social and mobile engagements is much more difficult. Don’t let digital marketers get away with swiping your customers based on false contrasts. Open the discussion about the benefits of direct mail versus email– and when to use each. Be aggressive and let direct mail present what you can do.